This microencapsulated insecticide repeatedly delivers fast knockdown and kills even the toughest insects, with affordable, long lasting, time released, results. If you can only buy one liquid insecticide make it Onslaught MC. 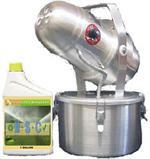 This insecticide powerhouse controls over 200 pests INCLUDING BEDBUGS!